Did you know that preventable bedsores are one of the most common sources of lawsuits against nursing homes? As a health care provider for the elderly, it’s your responsibility to ensure that your residents don’t develop bedsores or pressure ulcers on your watch. Yet, every nursing home or long-term care facility must deal with these issues at some point. Preventive skin care is one of the most often ignored factors in the well-being of nursing home residents. If you’re unsure of how these issues are affecting your bottom line, simply request a copy of your facility’s wound report from nursing staff and examine the costs associated with treating bedsores and pressure ulcers. You’d be surprised how many facilities purchase budget-level lotions, body washes, soaps and shampoos. It’s important for purchasing decision makers to invest in high quality products — geriatric skin is not the same as a 30-year-old’s skin and should not be cared for in the same manner. 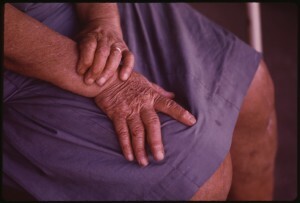 The skin of the elderly is in a degeneration phase. Cheap skincare products typically are not pH balanced and feature alcohol as a primary ingredient. This is a recipe for dried out skin, tears, breakdowns, and eventually, bedsores and/or pressure ulcers. Work with your central supply coordinator and administrators to purchase skincare products that are specially designed for healthcare applications — and ensure that they are readily available every shift. Many long-term care communities do use skincare products correctly, but do not apply them after bathing — the ideal time to apply any kind of lotion or product. Many facilities also use a perineal wash to prevent infection in patients who use a bedpan. However, many homes do not rinse afterwards, even though the perineal rinse isn’t the “no-rinse” variety. There have even been instances of antibacterial soap being used in place of perineal wash — this is yet another recipe for dry skin and subsequent complications. Ideally, any resident that is wheelchair-bound should have pressure-relieving cushions installed. T-gel, Keene, or other specialized pressure relief cushions are all ideal. In addition, any resident at risk of skin breakdown should be on a pressure reduction mattress as well. Traditional spring mattresses are known to put pressure on small areas of the body, increasing the risk of bedsores dramatically. Many nursing homes also use overlays on their beds, which are meant to increase comfort for residents. However, air mattresses are superior when it comes to helping wounds heal. Finally, as a nursing home administrator, you should be checking your staff’s skin reports on a weekly basis — if they’re being done at all. Look out for a high frequency of Stage 3-4 pressure areas to see if your facility is due for a skincare overhaul. Also, use the Bradens scale for predicting pressure sore risk for all of your residents, regardless of medical history. It’s common for long-term care facilities to be on a budget. However, many fail to realize that the reason money is so tight is because they’re not investing in high-quality patient care. So, purchase those high-quality products. Use mattresses designed to facilitate healing. Use patient monitoring technology to keep a close eye on patients at high risk of developing bedsores and pressure ulcers. By improving your staff’s skincare procedures, you’re protecting your facility — financially and legally.